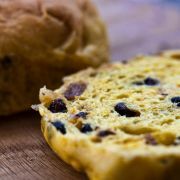 Rich yeast buns, coloured a vivid yellow with fresh saffron and loaded with currants; saffron buns are a staple in bakeries throughout Cornwall, alongside their bigger brother the saffron loaf. 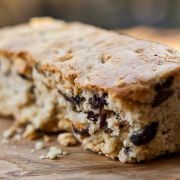 The delicately flavoured, 'cake' can be enjoyed sliced and spread with butter, toasted or fresh, though many a Cornishman or woman will attest that they are best simple, unadorned and delicious. In the 1800s, the treat of a saffron bun was incorporated into the outings organized by the church or the Methodist chapel in villages across the county. On Feast Days the village band would lead the people, often a procession of children from the Sunday School bearing religious banners, to a nearby field or beach. 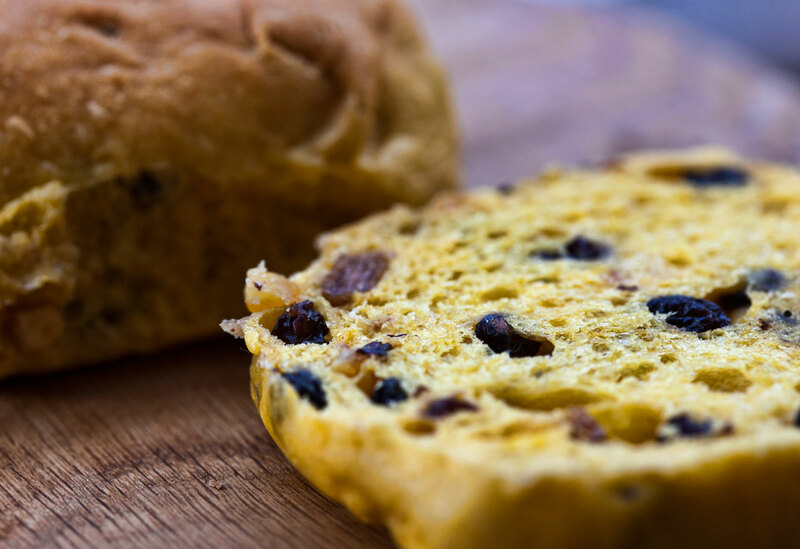 Games and races were often an integral part of the day, but ubiquitous was an especially large saffron bun, commonly known as the tea treat bun, which was given to each child. 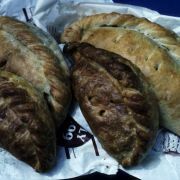 Some villages have continued or resurrected this tradition, Pendeen in Penwith being a case in point, and nearby bakers Warrens sell them in all their outlets. The ingredient which makes them special is, of course, the saffron and any colouring substitute just wouldn’t have the same effect of richness of colour and flavour. To obtain a single ounce of saffron, the stamens of literally thousands of crocus flowers must be harvested, making it the dearest spice in terms of weight. No surprise then that, to exclaim the expense of something, the Cornish coined the phrase ‘dear as saffron’. Native of Southwest Asia, and popularly used in much Mediterranean and Asian cooking, one may well ask how it became essential to a traditional Cornish recipe. The answer probably lies in Cornwall’s ancient tin trade with the Phoenicians, where the spice and also the flower bulbs would sometimes be exchanged for the metal.